WIRED Magazine readers are probably the best audience for QR codes in these early stages. 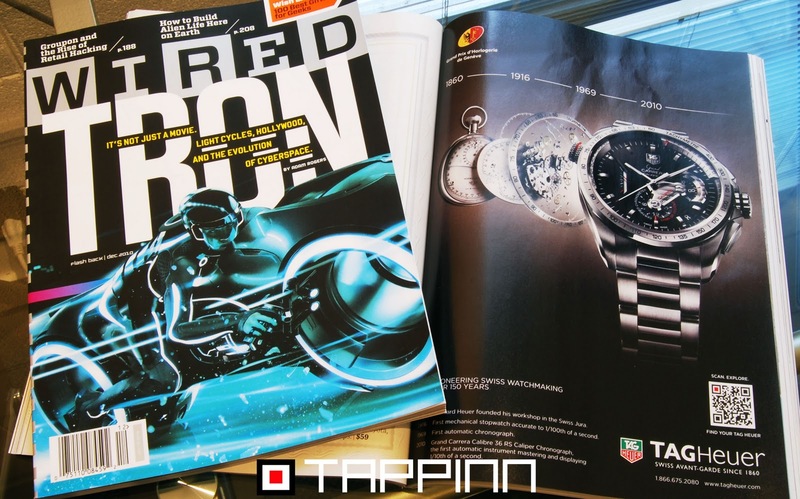 Check out the picture and video of a TAG Heuer QR Code scan from an ad in the December issue of WIRED Magazine. QR Codes are lightning fast, anyone who disputes this is a "rah-tard" and needs to check the vid below. 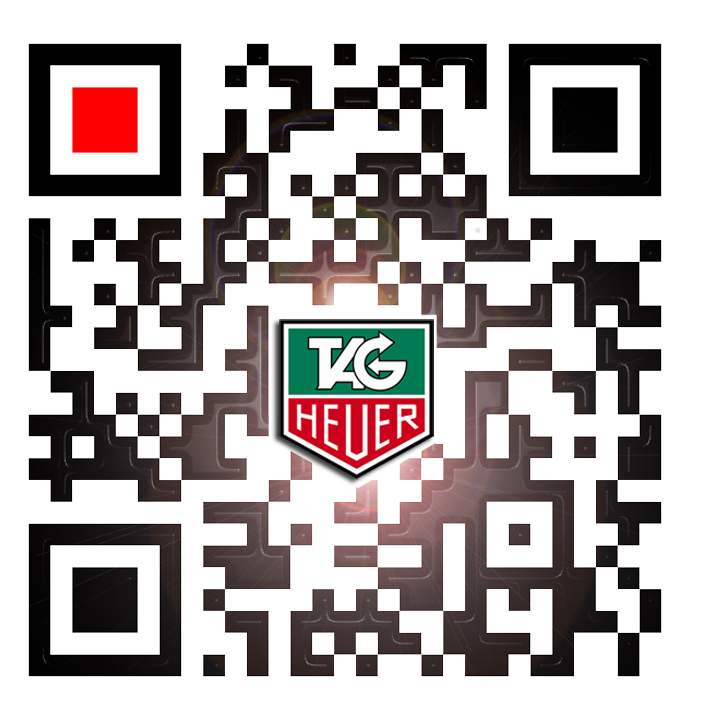 Scan the QR Codes and recieve a coupon (screenshot below). 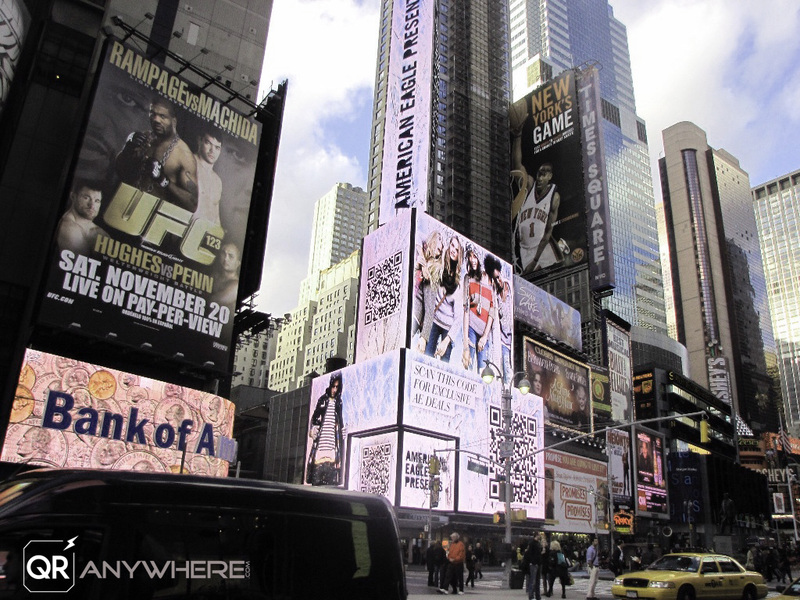 American Eagle is flashing giant QR codes between promotions on the digital billboard above their store in Times Square. 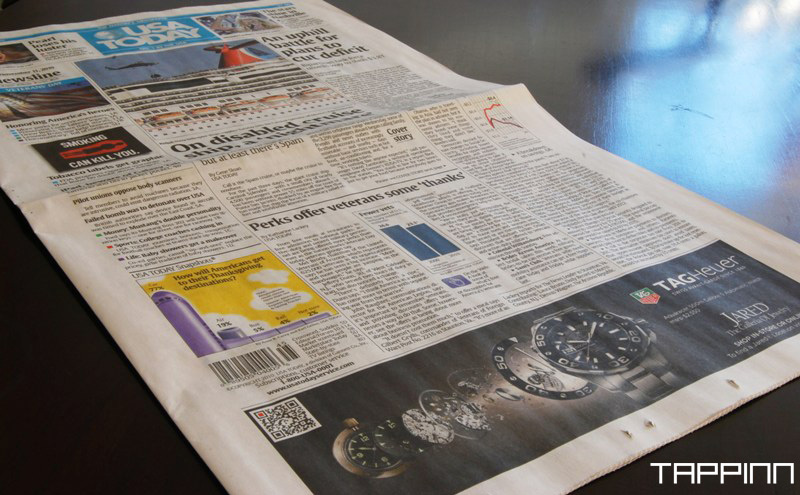 Pictures of QR Codes On The Front Page Of USA Today! 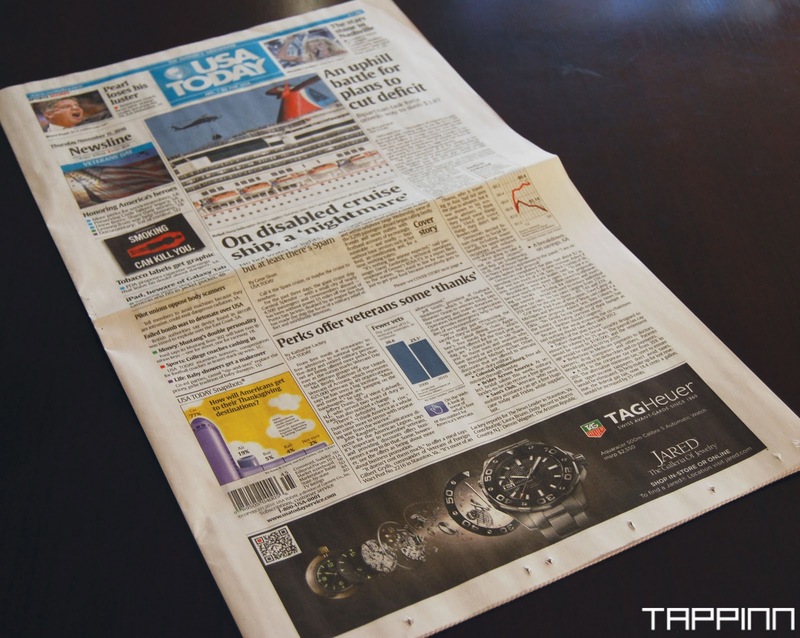 These are exclusive pictures of the November 11th, 2010 issue of USA Today. 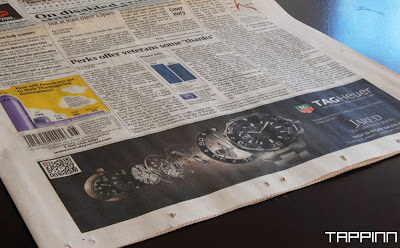 There is a Tappinn QR code on the front page of a TAG Heuer and Jared ad. 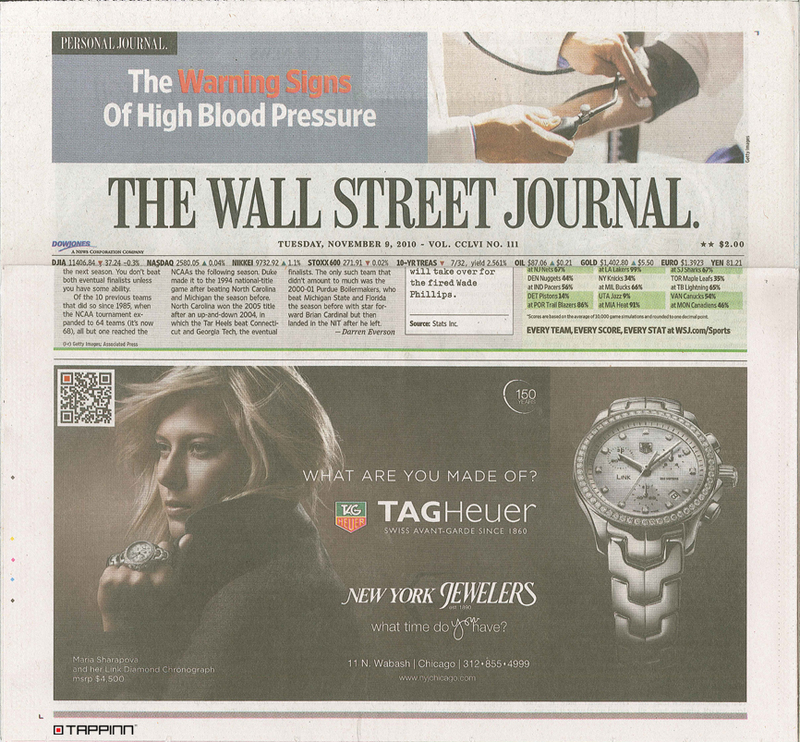 FRONT freaking PAGE! I have yet to see QR codes on the front page of USA Today until now. This is great for QR codes in general. 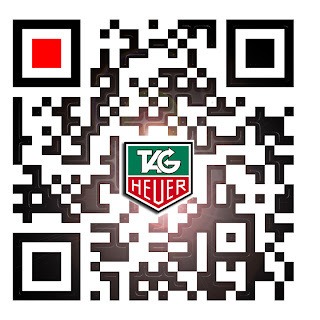 TAG Heuer and TAPPINN have collaborated in quite possibly the most advanced QR code campaign on record. 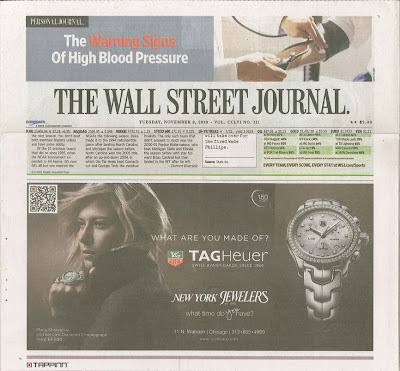 I will be writing much more about the unique model that sets TAG's effort apart from other mammoth brands using QR codes in their advertising. It doesn't get better than this! Email me if you would like exclusive content for your blog. Holler!